Le groupe des Verts a voté une résolution relative au sommet de Pittsburgh du 24 et 25 septembre 2009. Celle-ci appelle notamment le G20 à identifier des sources de financement en faveur du futur accord sur le climat. 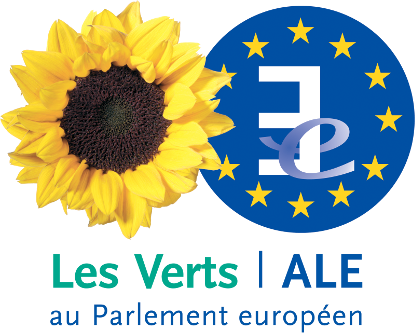 Les Verts demandent également au Conseil européen d’adopter une position commune en préalable du sommet pour s’attaquer aux déséquilibres à l’origine de la crise financière. Les Verts demandent la mise en place d’une structure de régulation financière, notamment pour contrôler les fonds spéculatifs, et des propositions cocnrètes pour lutter contre les paradis fiscaux. 20. In particular, takes the view that the setting-up of an in-depth peer review process to monitor and review progress made towards full and effective exchange of information is a good first step forward ; but deems nevertheless that this framework must be substantially reinforced in view of its various shortcomings ; in this respect, expresses among others its concerns about the fact that the OECD now concludes that « no jurisdiction is currently an un-cooperative tax haven », and that the OECD allows governments to escape its blacklist merely by promising to adhere to the information exchange principles ; expresses, in this later respect, that the requirement to conclude an arbitrary number of 12 agreements with other countries jurisdictions is arbitrary and cannot be considered as a sufficient condition to be taken out from the blacklist. 22. In this respect, calls on the European Commission to make concrete proposals before the end of 2010 linking the access to preferential development programmes to good governance in tax matters ; such proposals must include quantitative and qualitative indicators allowing to make an objective assessment of the fulfilments of good governance practices by developing countries. 25. Recalls that the quality of financial reporting is a key issue to address either to achieve the objective of financial stability or to fight effectively tax evasion ; insists in this context that the International Accounting Standards Board (IASB) should include within its International Financial Reporting Standard on segment reporting a requirement that multinational corporate groups report on a country by country basis on all their transactions (labour costs, finance costs, profits before tax…) ; considers that this would provide a comprehensive view of each group for investors, stakeholders and tax authorities, thereby facilitating a more effective and transparent international allocation of the tax base.